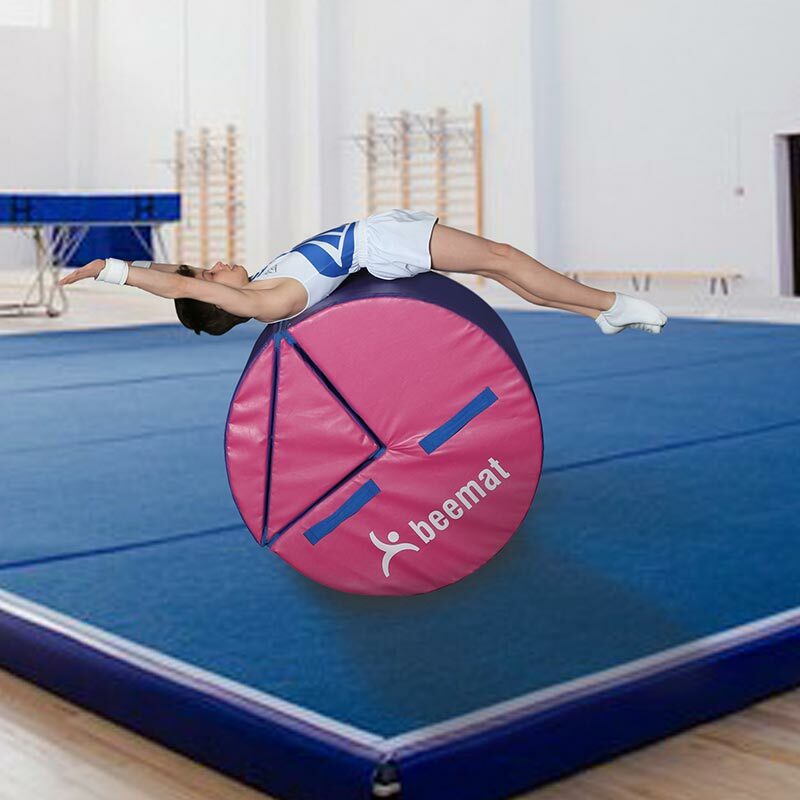 The Beemat ® Pink/Purple Handspring Roller Flip Block is an innovative training device enabling coaches to help beginners teach themselves handsprings, backflips and dive rolls in a safe manner. Can be used for handsprings, backflips, dive rolls. Size 950mm diameter x 700mm wide.